Need Repair Service on your TV? Here is a list of Contacts to start the repair process. In most cases simply calling the Manufacturer will start the repair or exchange process. If it is out of warranty, then in most cases it is not worth it to attempt a repair. The process is expensive and time​-consuming. Of ​course there are exceptions​,​ but ​they are ​so few that after 55 years of fixing ​televisions we have shut down our repair department except for Service Contract Repairs for our customers. However, you should always verify that the TV is actually defective. Many people assume that their TV is defective when it is not. ​You should have it checked or follow our HowTo on determining if your TV is defective. Walts offers ​2 ​options to help you determine if your ​television is defective. We call this service Defective TV Verification​. In-home TV/System Operation Troubleshooting for $29.95. We will come to your home​, ​figure out what the problem is​,​ and provide recommendations and solutions. If it is under our service ​contract​,​ we will start the repair process at that poi​nt. ​​If it is under our service contract​,​ you will not have to pay the 29.95 ​​if ​your TV is defective. Free Online ​​How​​To ​guide ​to verify ​whether your TV is defective. 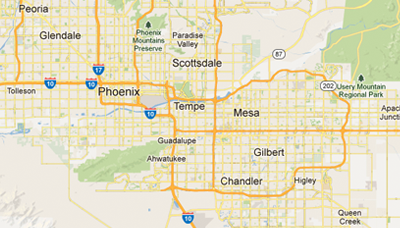 Walt's is proud to service the following locations: Ahwatukee, Chandler, East Phoenix, Fountain Hills, Gilbert, Mesa, Paradise Valley, Queen Creek, Rio Verde, San Tan Valley, Scottsdale, Sun Lakes, Tempe. Please note that there is a $29.95 charge for an In-home TV/System Operation Troubleshooting. Any additional costs should be discussed before work is performed. Is this set covered by a warranty?